The white and green design pays homage to the caddie jumpsuits at the Masters. TaylorMade’s special edition staff bag for the Masters pays tribute to a yearly tournament tradition — the all-white caddie jumpsuit. Up until the 1983 Masters, Augusta National required players in the field to use a local caddie for the tournament. When the rule was eventually changed, the Masters Tournament Committee made it mandatory for caddies to wear the same uniform as the local loopers during the week. The white jumpsuit and green hat have become synonymous with the Masters over the years. Each caddie is assigned a numbered jumpsuit based on when their player checks in. The defending champion's caddie gets the number one. The number on the staff bag will match the jumpsuit number. 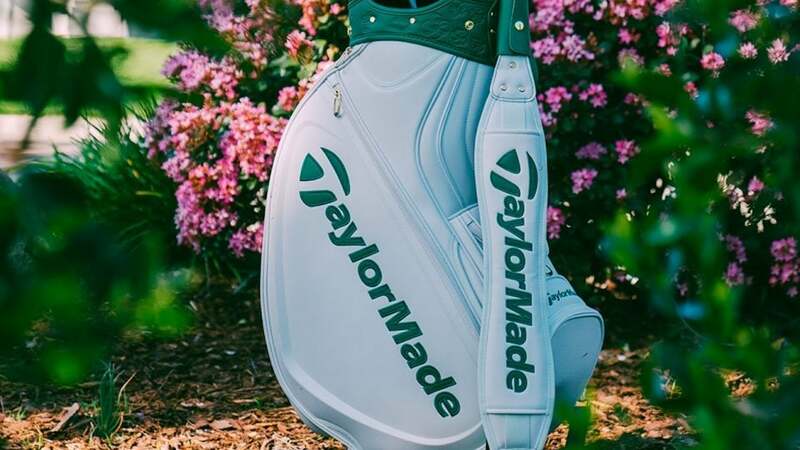 Every member of TaylorMade’s staff will have the opportunity to use the new Masters staff bag next week at Augusta National. The all-white body features green accents and a floral print on the interior lining. 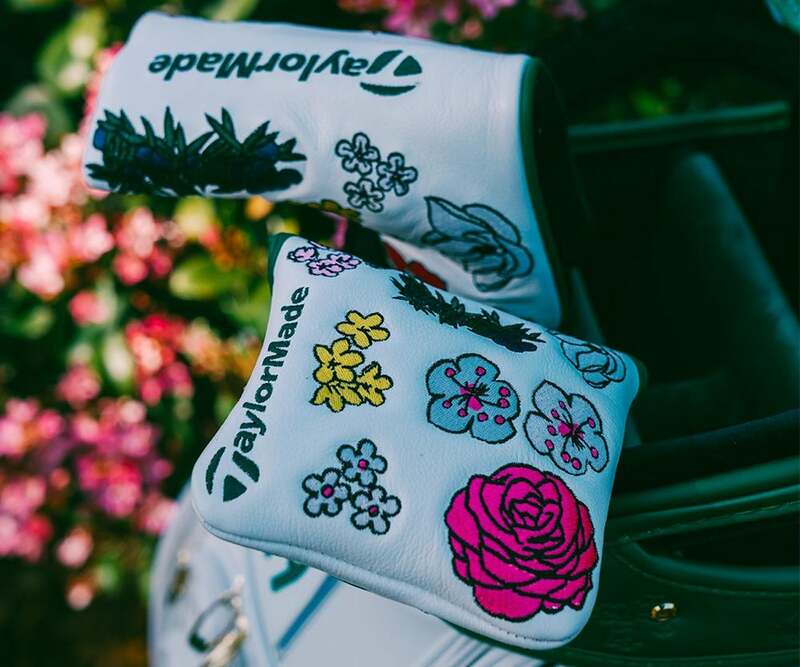 The same floral print can be found on the special edition headcovers that will be handed out. The velcro loop fastener patch positioned just above front panel makes it possible for the number assigned to the player’s caddie at tournament registration — the number is also found on the front of the jumpsuit — to be added to the bag. If players are angling for a specific number, they’d be smart to hang around for number 89. Danny Willett and Sergio Garcia won the 2016 and 2017 Masters with 89; it was also Jack Nickauas’ number when he won his sixth Masters title in 1986. A closer look at the TaylorMade's Masters staff bag. 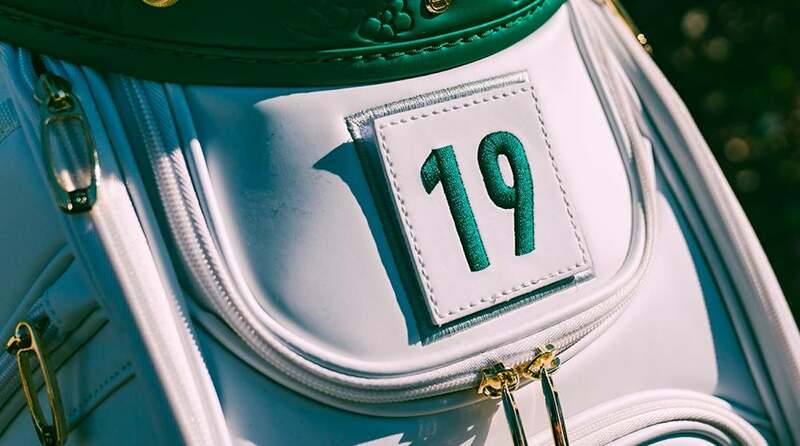 The yardages for all 18 holes at Augusta National can be found on the base of the bag, along with a gold plate to commemorate the year’s first major championship. 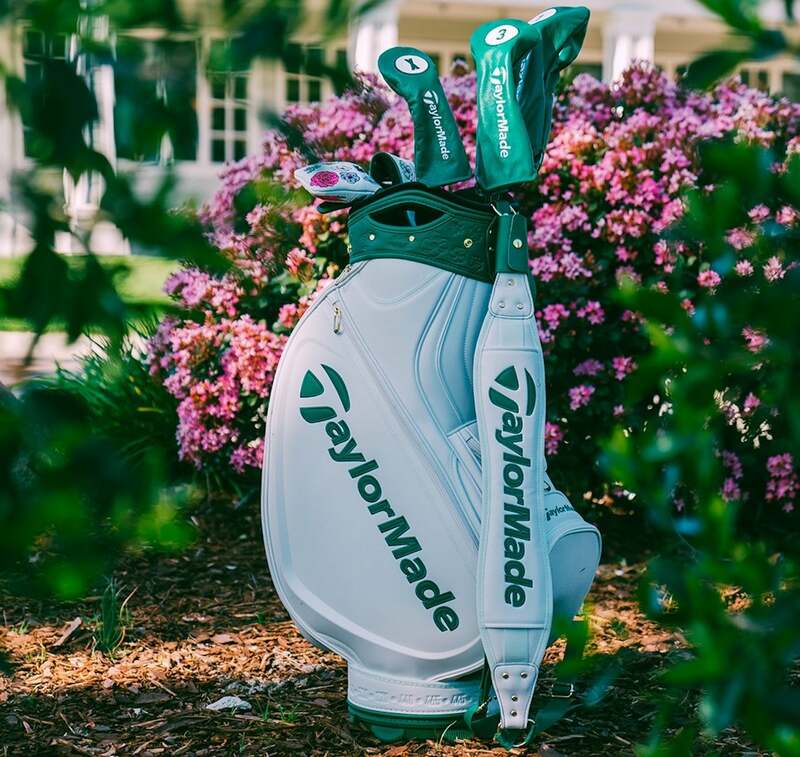 TaylorMade released a limited number of the Masters staff bags to the general public for $600. 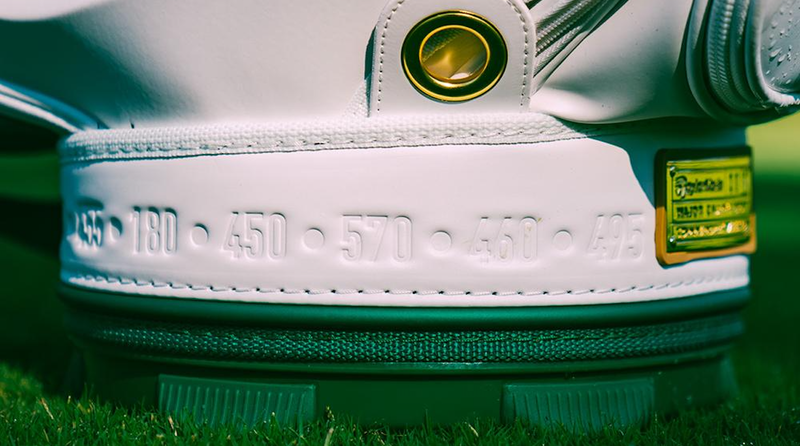 The yardage for every hole at Augusta National can be found along the base of the bag. Special edition TaylorMade headcovers for the Masters.